For HEIDENHAIN encoder customers who would like to do their own onsite encoder testing, HEIDENHAIN now offers the new simple-to-use PWM 20 diagnostic box with ATS (Adjusting and Testing Software). This new highly functional and mobile package handles diagnostics and adjustment of HEIDENHAIN encoders with absolute interface. 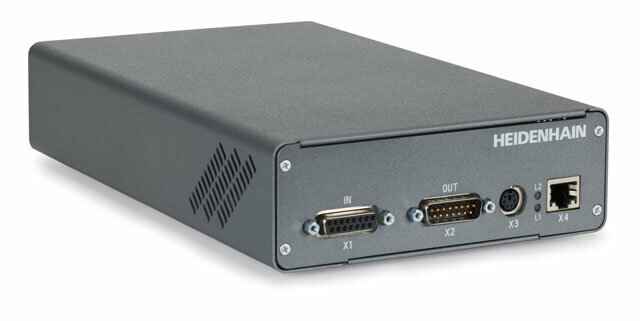 The new mobile PWM 20 is a phase angle measuring unit for connection to a PC via the USB interface, and is used to evaluate serial interface signals such as EnDat, Fanuc and Mitsubishi. It is also used as a mounting aid for HEIDENHAIN’s ExI, LIP 200 and LIC 4000 series of encoders. The Adjusting and Testing Software incorporated into the PWM 20 has an integrated local encoder database for automatic encoder identification. The functions supported by the ATS software vary depending on the encoder and encoder interface. The EnDat interface makes it possible not only to display the position values, but also to read out the online diagnostics, to read or write parameters, shift datums, set write-protection and use further inspection functions, etc. The PWM 20 currently replaces HEIDENHAIN’s previously available IK 215. In 2012, the PWM 20 with software version 2.6 will replace HEIDENHAIN’s PWM 9 to handle diagnostics of encoders with incremental signals (1 Vpp, TTL and 11uapp).